Kim Thúy, born in Saigon, left Vietnam in 1968 with the boat people at the age of ten and settled with her family in Quebec. A graduate in translation and law, she has worked as a seamstress, interpreter, lawyer, restaurant owner, and commentator on radio and television. She lives in Montreal and devotes herself to writing. 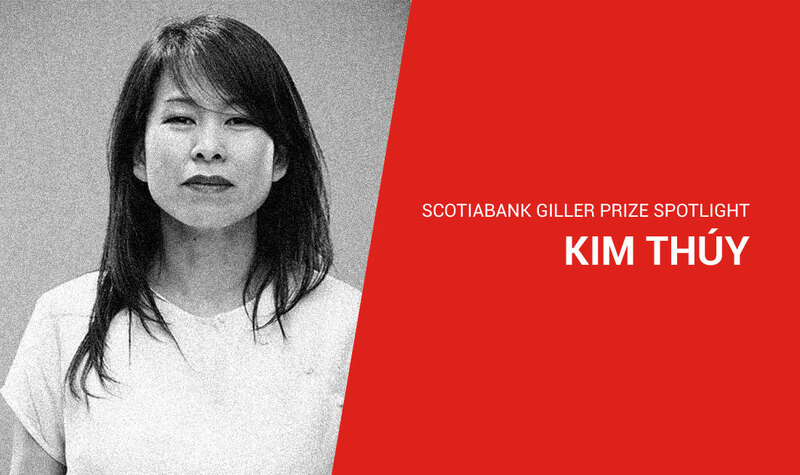 Kim has been selected for the 2018 Scotiabank Giller Prize longlist for her novel Vi. Everything. The difficulty is to choose which stories to tell because each story has its own colour and voice. My only job is to choose which stories fit together. I don’t even have a desk to call my own. I write wherever it is possible to be on my own and play with words—so anywhere from airplanes, bus stations to my kitchen counter. Silence provides the greatest inspiration. I read a lot of poetry lately. Since I have such a full schedule, I value the concentrated version of reading that poetry offers. One poem, five minutes, and I am nourished for the day. I wanted to share what each of the cities I’ve visited have taught me and how the people I’ve encountered helped to make me the person I am today.